Some say there is an art to making delicious cocktails, but as all aspiring mixologists know, unlocking the perfect cocktail requires science. 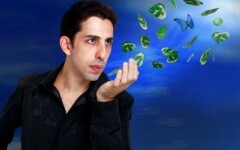 A solid knowledge of chemistry, biology and practical technology separates those who are inventing game-changing signature cocktails and those who are merely mixing yet another dry martini. 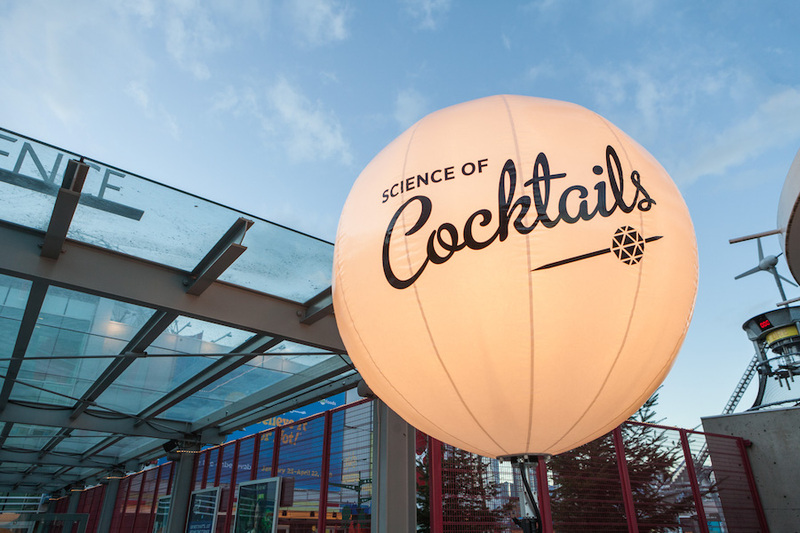 The recently held Science of Cocktails event, hosted at Science World, was the perfect opportunity for classy beverage enthusiasts to study-up on their drink science, all while supporting a great cause. According to Trevor Kallies, President of the Canadian Professional Bartenders Association and organizing member of the Science of Cocktails event, the pursuit of the perfect cocktail starts with the basics. Another important factor involved in making the perfect cocktail is taste versus flavour. Taste is the chemical sense recognized by receptors on your taste buds; whereas flavour is the combination of the taste with other sensory inputs like smell. We all have about 10,000 taste buds with about 50 gustatory receptor cells per taste bud. Every cell responds to several tastes each, and the tastes interact with each other, with some enhancing and some suppressing, depending on the concentration. Of the five receptor types, four are well known: salty, sweet, sour, and bitter. Recently, a fifth receptor type, known as umami, has been discovered, which interacts with glutamic acid and processes savoury tastes. The effect of these receptors working together is that our taste buds are chemically challenged. For example, sour tastes will enhance a bitter once, hence why we put lime in a margarita. 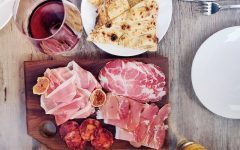 Interestingly enough, salt is a universal flavour improver because at low concentrations it will reduce bitterness, while increasing sweet, sour, and umami; comparatively at high concentrations salt suppresses sweetness and enhances umami, which is good for savoury things. To get to the right flavour though, chemoreceptors for taste need to combine with smell stimuli. A great example of this can be experienced through whiskey. The next time you drink a single malt, plug your nose and you will notice some of the depth of flavour is lost. 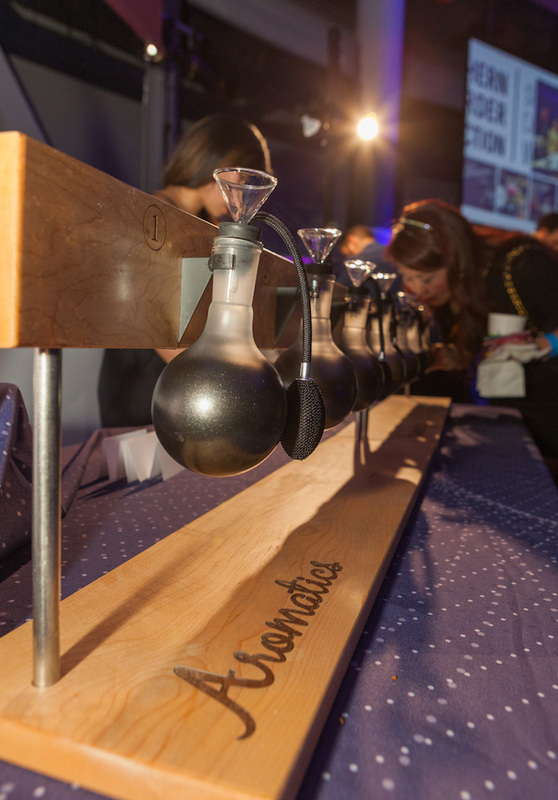 This type of sensory challenge was one of the many experiences offered at the Science of Cocktails event, where a smell station was set up to challenge visitor to identify different distinct aromas. Another station toyed with supercooling through using liquid nitrogen to create slushies, sorbets, and the perfect Gin and Tonic. Which brings us to the topic of temperature, controlling a drink’s temperature can really impact the flavour. This is because of the dilution that happens during shaking and stirring. Different cocktails require different degrees of dilution, i.e. different temperatures, and that ideal temperature depends on the cocktail’s ingredients and how it is served. A Manhattan, for example, stirred at exactly 0oC is nice and balanced and does not need a lot of dilution; compared to a Gimlet, with higher alcohol content, when stirred at -2oC, changes from boozy to fruity. Essentially, alcohol acts as an anti-freeze. So it would seem that some of the best cocktails are like revenge, best served cold, though our research disappointingly concluded there are currently no signature cocktails called sweet revenge on offer at local establishments. But more than temperature control, mixology has come a long way. Molecular mixology brings science to the shaker to create new flavours, textures, and surprising presentations. While the pros commonly use tools like vacuum chambers, ISI whips, sous vide machines, cotton candy makers, roto evaporators, and dehydrators, to name a few, a lot can actually be done with reasonably priced tools, patience and little extra time. Equipped with a pipette, slotted spoon, measuring spoons, and food additives (like gelatine) you can make your own delightful cointreau caviar at home. So named because of the flavour enriched caviar shaped pearls floating in the cocktail. 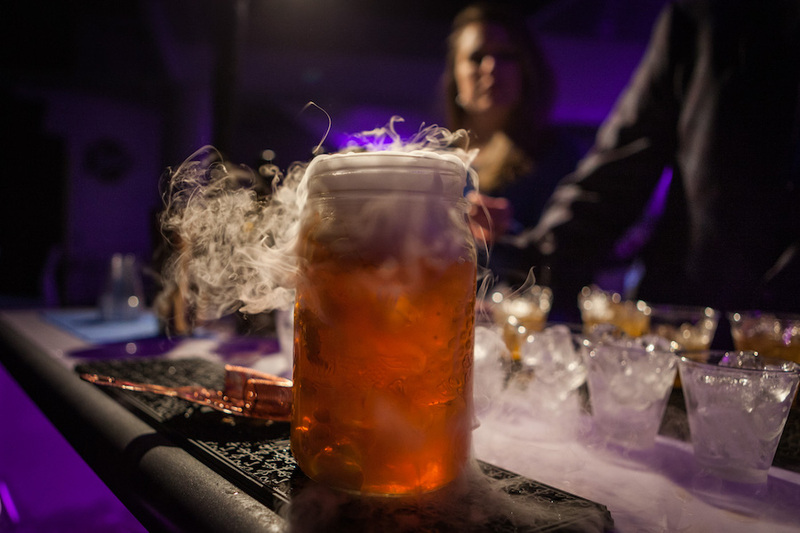 This process, also explained as a calcium bath, was one demonstrated at the Science of Cocktails event. The experiment involved a Sake based drink that got a new spin to create a Yuzu Sake Tini, consisting of vodka, sake, simple syrup, citric acid, and of course the Yuzu infused caviar pearls. Dr. Sampson explained that with this event Science World aims to bring food and drink systems to life with hands-on learning, allowing people to see what goes into the making of the cocktails. But more than this, visitors got to see high-end science working in a kitchen with toys like a kitchen-sized centrifuge spinning Glenmorangie, medjool dates and orange zest to perfection. 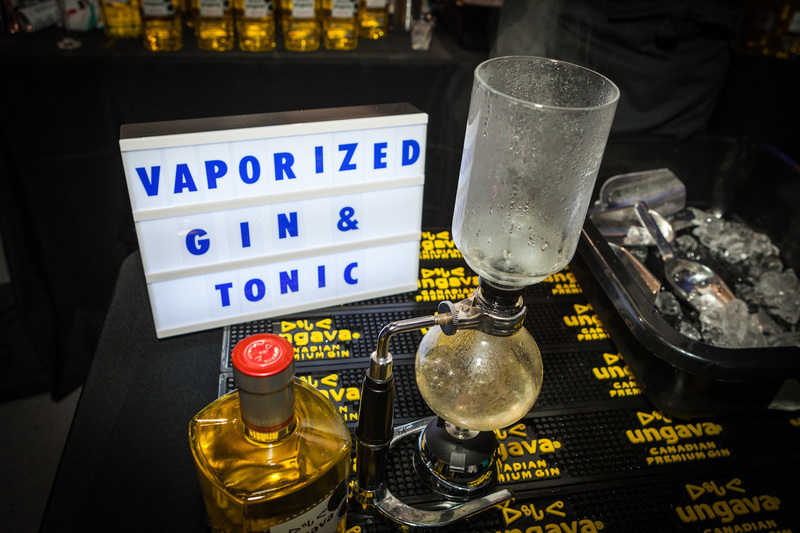 Also exhibited were stations using force and gravity to mix a southern sweet tea; a robot used to mix the perfect manhattan; a rotovap which used vacuum distillation to add a woody taste to a negroni, and a sous vide used pressure to infuse a banana flavour to rum. Guests were also able to test their skills against a professional bartender, hoping to match the pro’s cocktail shaker velocity. Perhaps the most satisfying mix of the evening was the blend of science for the community with a good cause. 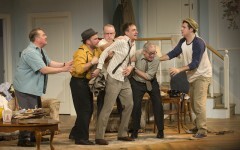 “People love to do fun things for good causes,” said Dr. Sampson. “This is a fun event, and the cause is all the of the proceedings of this event goes to sponsoring our class field trip bursary program. 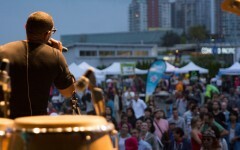 That means over 8,000 kids from under-served schools get to come to science world that otherwise would not have.” This year’s event raised almost $300,000. Our research concluded that the perfect cocktail starts with a nice balance of tastes, pays special attention to the aromas and flavours, takes advantage of the latest mixing tech to fully diffuse all of the ingredients, and gets mixed and served at just the right temperature. So as you, my fellow citizen scientists, race into your laboratory / kitchen to run your own mixology experiments, remember, your taste buds only live for 14 days, so give them something to live for.